As always, Mexico and United States of America are regarded as main favourites to win Gold Cup trophy. El Tri are determined to defend their title, but it remains to be seen if they are going to give fans yet another reason for celebration. 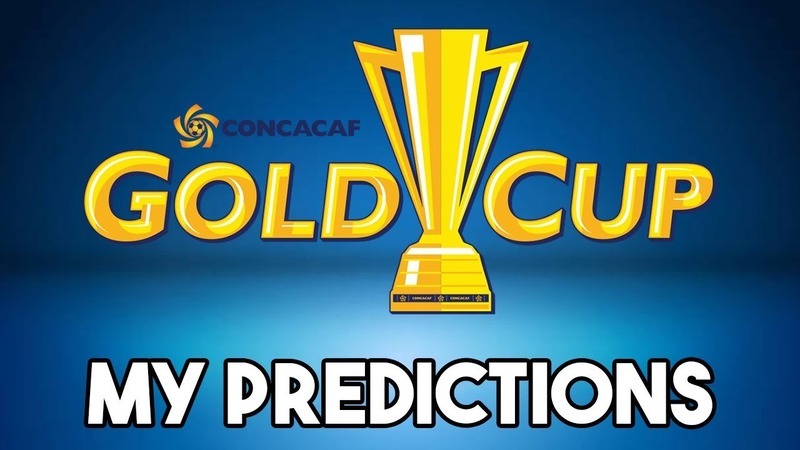 We teamed up with FootballPredictions.com for this special Gold Cup prediction! United States of America are eyeing their sixth Gold Cup trophy. The Yanks suffered a shocking 2-1 loss to Jamaica in the semis of the 2015 tournament and, to makes things even worse for the fans, they were beaten by Panama in the third-place play-offs. USA aim to get back on course, but seeing that coach Bruce Arena has decided to rest key players at the 2017 Gold Cup, I do not believe that they are going to regain the trophy. The likes of Michael Bradley, Jozy Altidore, Christian Pulisic and Clint Dempsey have all been left out of the squad and the likes of Juan Agudelo, Alejandro Bedoya, Graham Zusi and youngster Kellyn Acosta will be the men to watch in Bruce Arena’s team. Anyhow, we are not tempted to put our money on the tournament hosts as aforementioned star players will be sorely missed at the 2017 CONCACAF Gold Cup. USA have been grouped with the likes of Panama, Martinique and Nicaragua and they are widely expected to make it to the knockout stages of the tournament. Mexico coach Juan Osorio is going to rest his first-team regulars at the 2017 tournament as well. The likes of Carlos Vela, Giovani dos Santos, Jonathan dos Santos, Hector Herrera, Andres Guardado and Javier Hernandez Chicharito have been omitted, but footballers who play in the domestic championship are definitely capable of recording a good result at the upcoming tournament in USA. EL Tri did remarkably well to beat Jamaica 3-1 in the 2015 Gold Cup final, but players (Peralta, Corona, Guardado) will not represent the Mexican national team at the 2017 Gold Cup. Mexico are after their eighth trophy at the CONCACAF championship and it has to be noted that they will face El Salvador, Jamica and Curacao in Group C.
Costa Rica are regarded as No. 3 favourites to win the 2017 Gold Cup and it remains to be seen if they are capable of winning the prestigious tournament for the first time in the national team’s history. Los Ticos impressed at the 2014 FIFA World Cup in Brazil and, no doubt, they know how to play big matches. As before, Arsenal ace Joel Campbell will be the man to watch in Oscar Ramirez’s team and he is likely to pose a big threat for opposition defenders. According to FootballPredictions.com’s prediction specialists, Panama, Honduras and Canada should not be written off as well, but, taking everything into account, we believe that Mexico are going to defend their trophy. USA will be without their stars at the 2017 CONCACAF Gold Cup and seeing that Mexico coach Juan Osorio is used to mixing the squad, there is a big value in betting on the reigning champions, who are after their eight Gold Cup trophy.